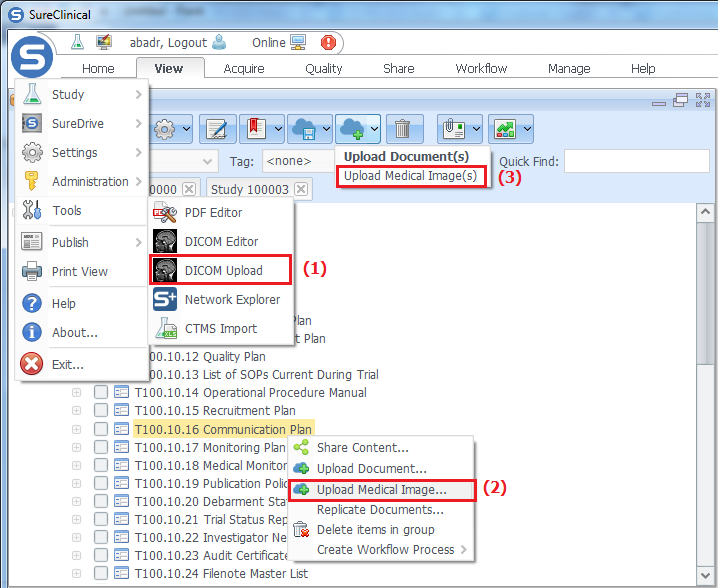 S-button > Tools > DICOM Upload. 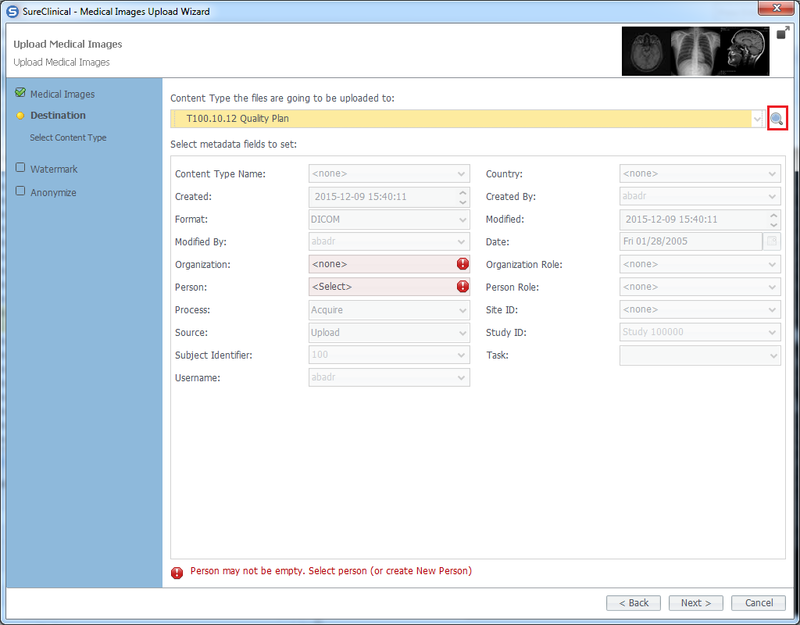 Right click on the Content Type and select Upload Medical Image (Document Navigator should be in View Mode). 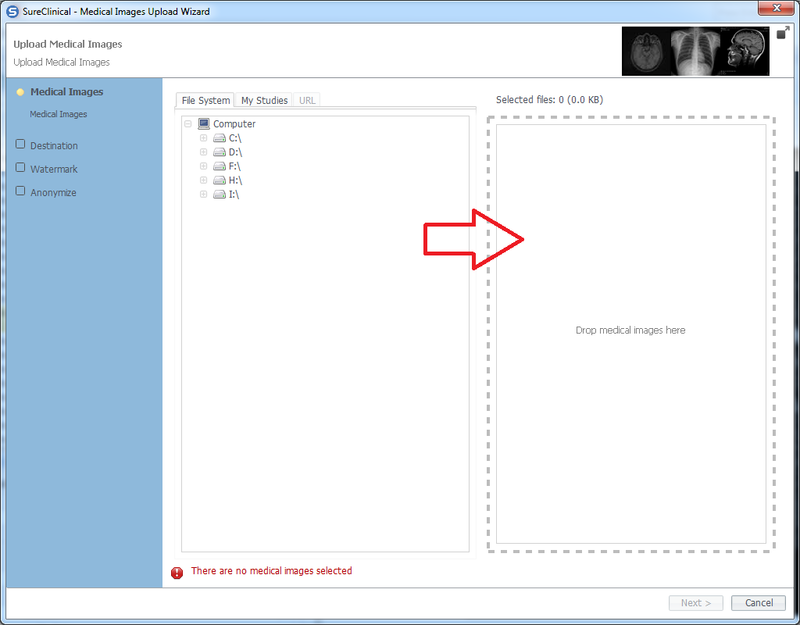 Navigate your local drive (File Systems tab) or one of the visible studies (Studies tab) to locate the DICOM image(s) for upload then drag and drop them to the right hand side then click Next. 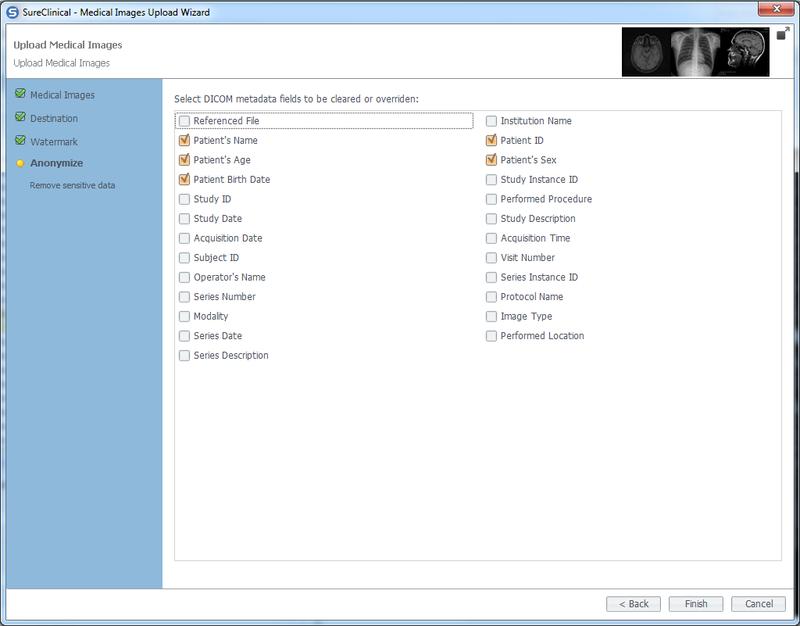 2 Select the Content Type (if not already filled) from the drop down list. You can look up the Content Type by clicking on the magnifying glass icon. 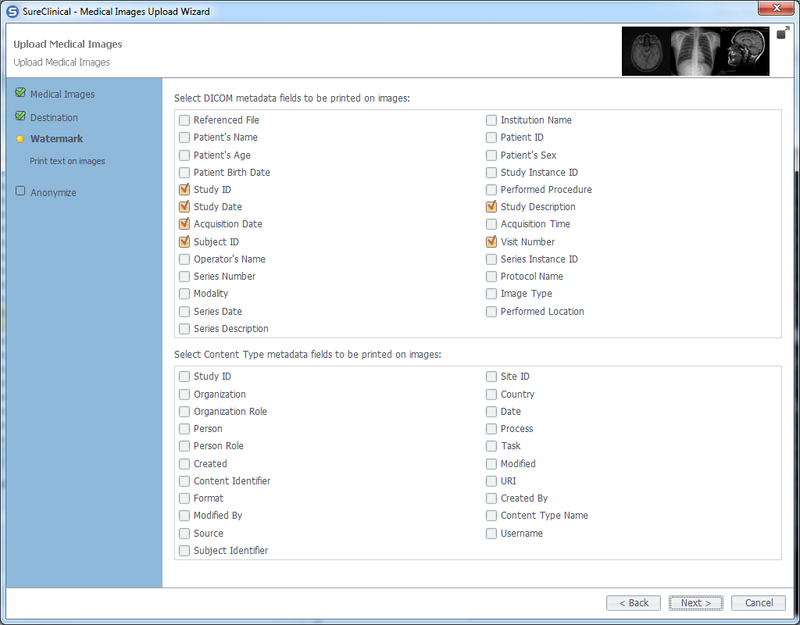 Fill missing metadata properties then click Next.